As early as 1098, the village of Linster is mentioned as a property of St. Simeon in Trier. An ancient castle was said to exist in Altlinster. At the time, the new castle consisted of a residential tower, a chapel and a rampart. 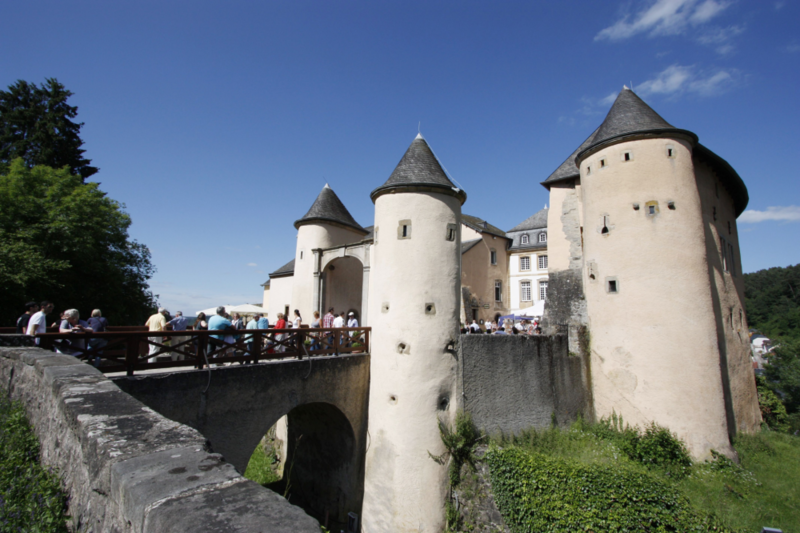 The husband and wife Beatrice Linster and Thierry de Fontoy, Seneschal of Luxembourg, received the castle as a fief of the Countess Ermesinde of Luxembourg in 1231. 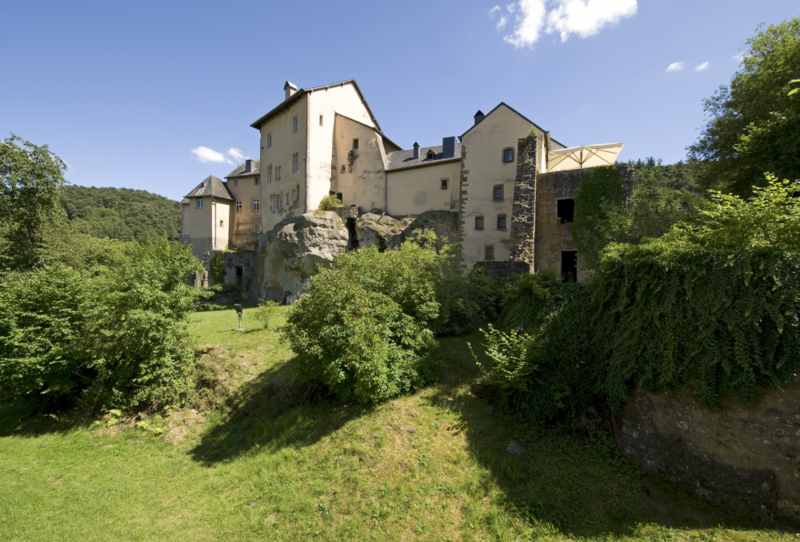 From the 2nd half of the 14th Century, the family of Orley lived in the castle. From this period dates the conversion of the chapel and the construction of a tower keep on the north side. In 1408 Jean d'Orley, provost of Luxembourg, is invested with the high court of Linster by Wenceslas II. The construction of the lower castle (House of Waldeck) with moat, fortified gates and two defensive towers dates from the late 14th and 15th Century. In the 15th Century, Linster is divided between the families of Orley, Hammerstein and Bettstein. In 1476 Bernard of Orley II is mentioned as the adviser and chamberlain to Charles the Bold. In 1477 Henry of Metzenhausen married Mary Antonetta Boos of Waldeck, heiress to a part of Linster. In 1527 Dietrich of Metzenhausen, governor of the Duchy of Luxembourg, marries Joan of Orley, and Charles V, Holy Roman Emperor, gives him Linster along with the high judiciary as a fief. Between 1542 and 1544, during the wars between Charles V and Francis I, both parts of the castle are largely destroyed. As of 1548, the construction of the Renaissance wing on the south side was begun, keeping a wall of the residential tower. Between 1682 and 1684, French troops again destroyed parts of the lower castle. During the 2nd quarter of the 18th Century, the baroque facade at the back of the courtyard was erected. In 1750 Eve of Metzenhausen married infantry captain Peter George of Zitzwitz receiving the fief of Linster in 1759. From the 18th to the 20th Century successive nobles and commoners own the castle until its acquisition by the Luxembourg State in 1968. Between 1969 and 1988, consolidation works, repairs and restoration of the castle and its outbuildings are undertaken. In 1982 the association “Friends of Bourglinster Castle” was founded. 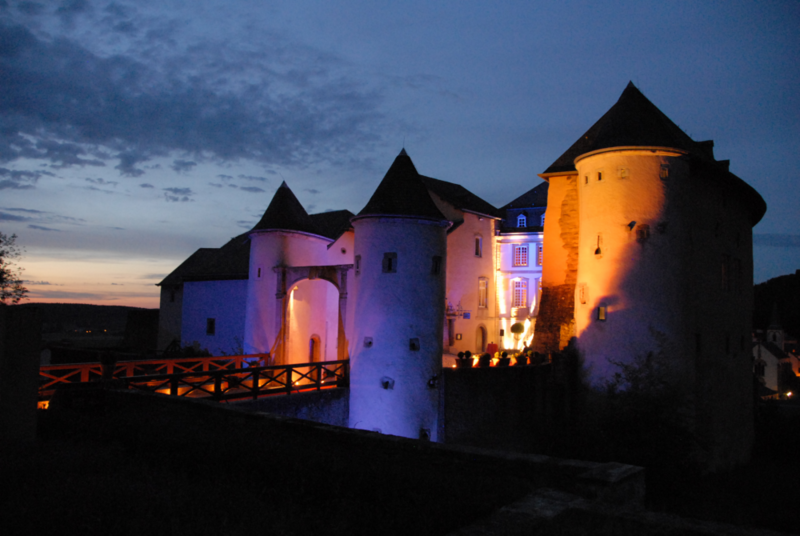 They organise the Bourglinster Music Festival as well as exhibitions, concerts, lectures and receptions in the castle. The barns opposite the castle have been restored as art workshops. 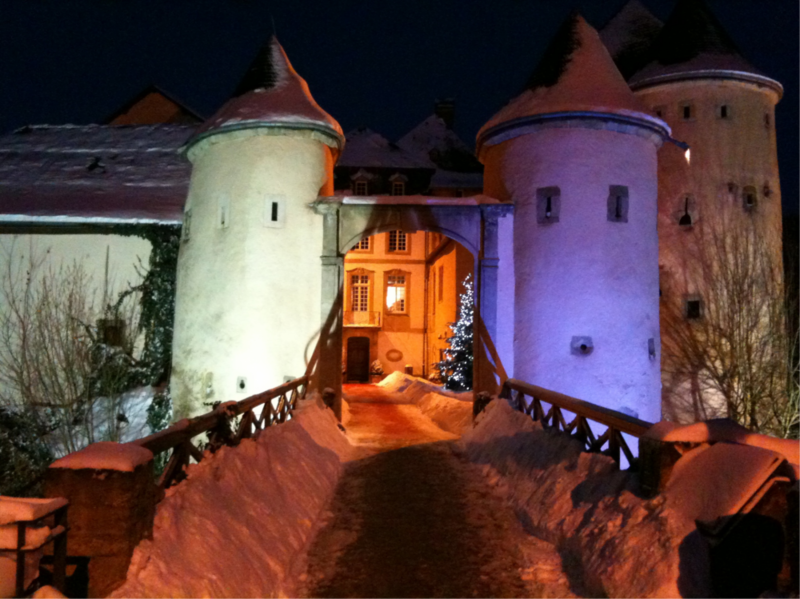 A renowned restaurant is within the castle walls.